When I visit other gardens I am always looking for “take away” ideas. These are the ideas and things I can see myself adding to my own garden. It is one thing to visit an elaborate home or public garden and see ideas you know you will never be able to afford or have the space to complete, but it is another thing to look for small pieces for your own private space. 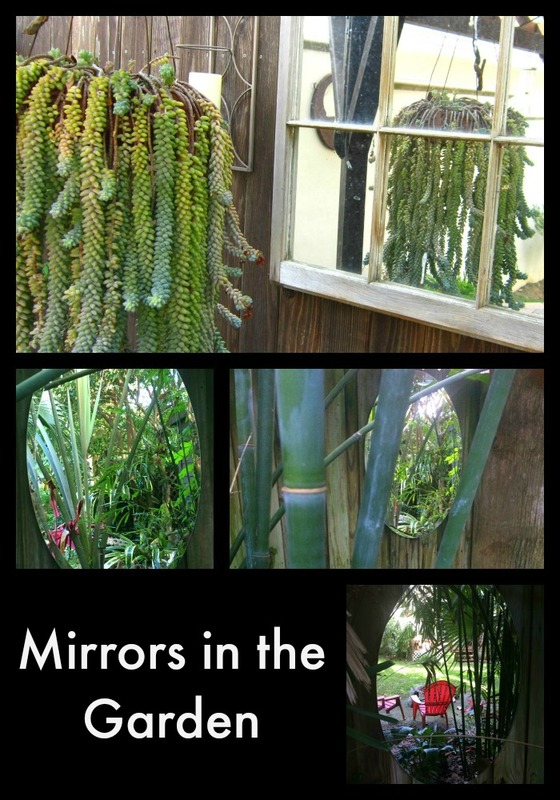 In this case, adding a garden mirror was my take away from a recent trip. 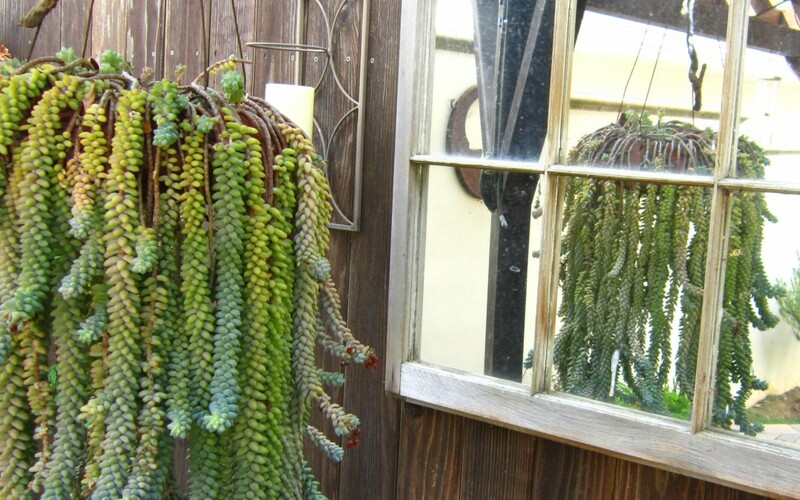 Why Add a Garden Mirror? In the case of my aunt and uncle, they added their garden mirror because it both held sentimental value and made their space look larger. This divided mirror was originally in the home of my aunt’s family cabin. It is now repurposed to hang outside under their gazebo, perfectly reflecting the Burrow’s tail hanging basket and reflecting the low lights hanging nearby during dinner parties. 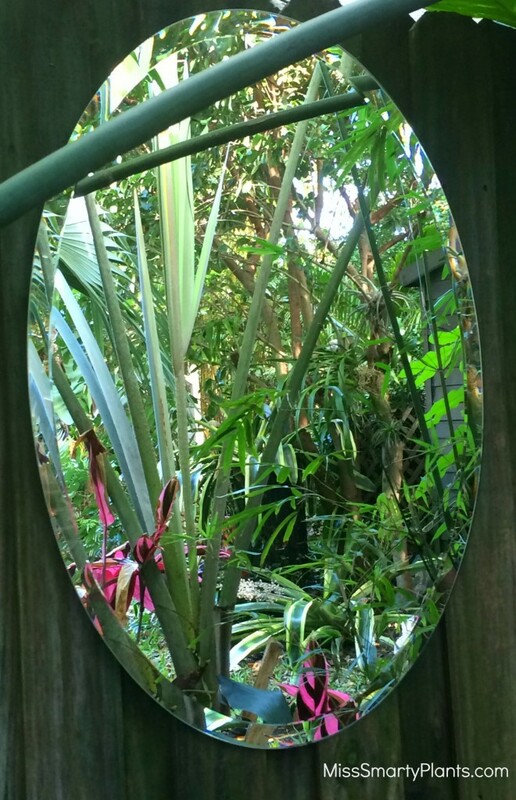 Mirrors in the garden add depth and a sense of mystery. 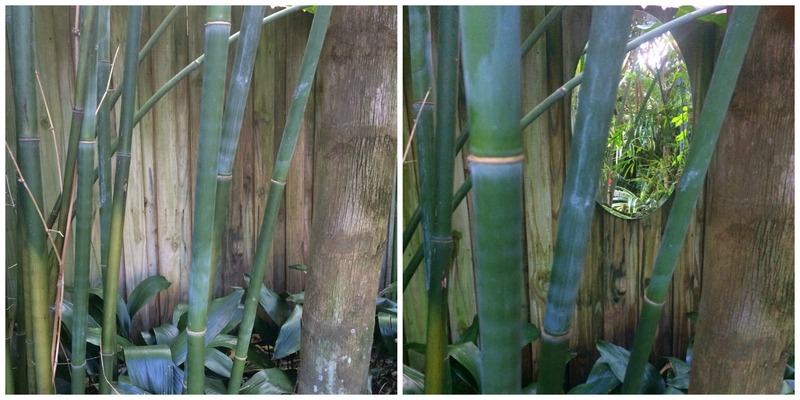 In our garden I thought it was best to place the two mirrors where they would be partially obstructed (or hidden! 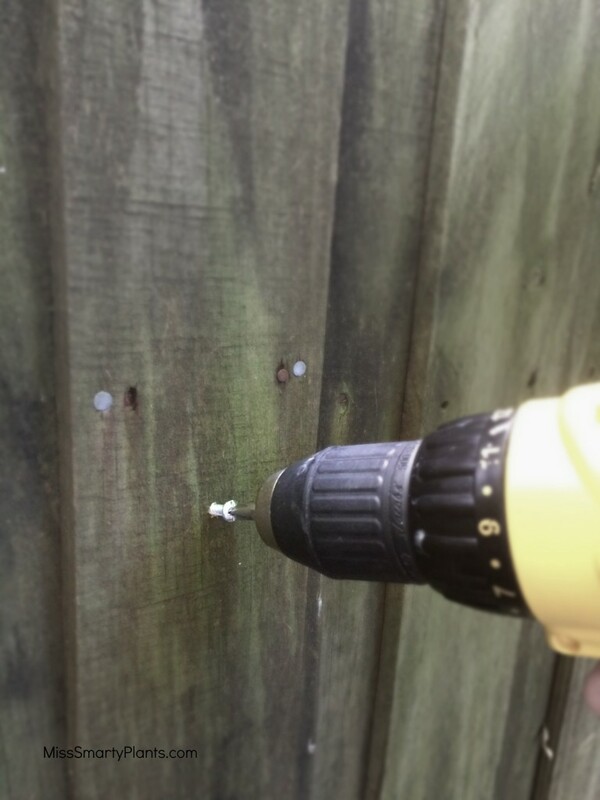 ), to create some depth without being overly visible. For this project I used two mirrors left over from our recent bathroom renovations. Okay, maybe it wasn’t that recent because I have had these sitting on the floor near the desk I am writing at for almost eight months… Anyhow, it was time to get them outside! 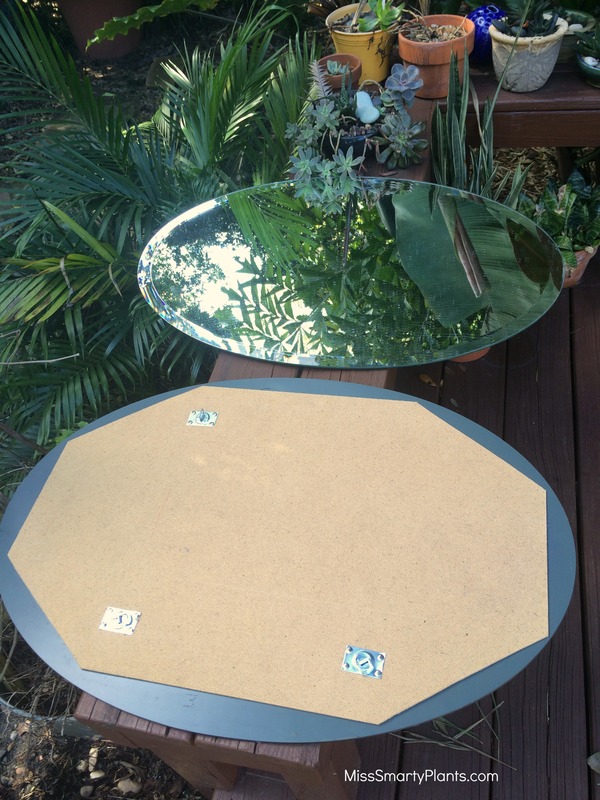 These are fairly inexpensive and cheap mirrors. They have no frame or any special features to them at all, which I think will really help them to blend in better. 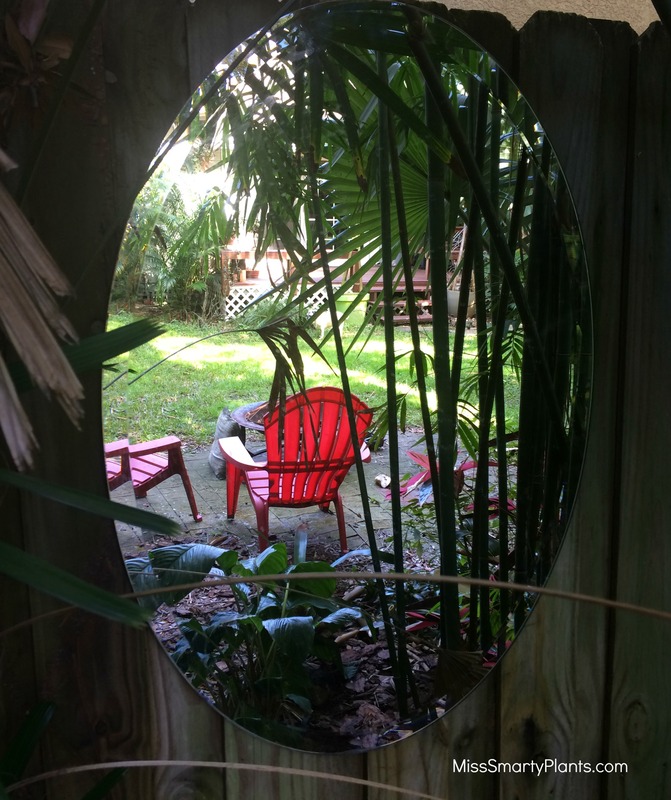 The wooden fence around our backyard makes a great palette for hanging baskets, plants, and in this case, garden mirrors. The mirrors weigh approximately 8 lbs each, so I decided to use screws to hang these rather than nails that may pull out over time. Considering how long I’ve had these sitting on the floor, I almost felt bad that it only took me about five minutes to hang both of these! I like to partial hide the view of the mirror. 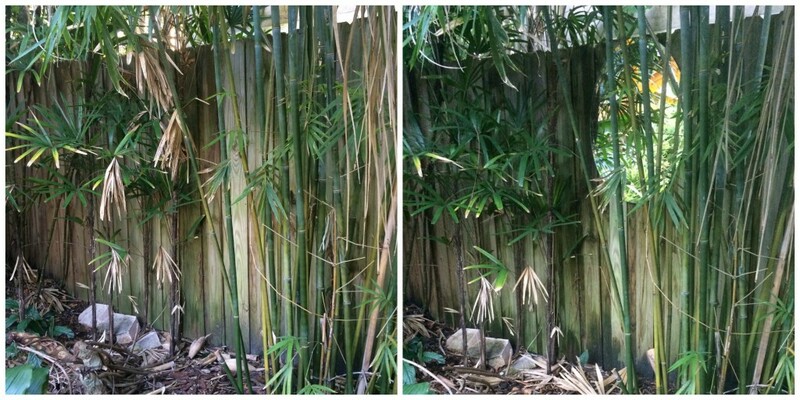 This garden mirror was tucked behind the Slender Weaver’s Bamboo in our backyard and reflects the palms and tropical plants without being overly visible. I have to admit that I have a hesitation to add things like this to our garden for fear I will go WAY overboard and end up with too much. 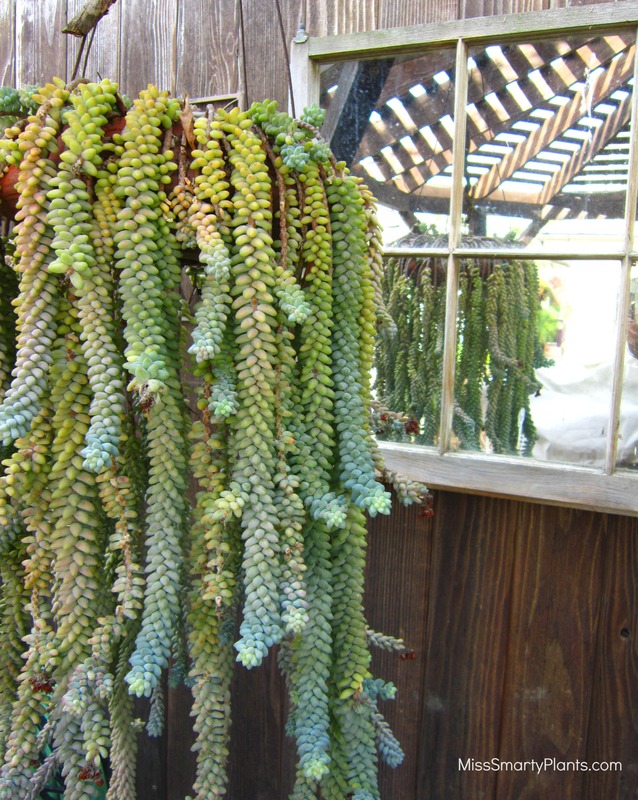 After tucking these behind the plants I felt that fear melt away. It also makes me feel better to know that these have been hanging for two weeks now and Mike hasn’t notice. If they were way too over the top he would have noticed, right? I did make sure to hang the garden mirrors at approximately the same height. The pair are about 15 feet apart, so it seems that getting the two mirrors to approximately the same height was good enough for our yard. If they were very close together it would be helpful to measure for symmetry.